Ovulation predictors can help you identify the most fertile days of your menstrual cycle around ovulation. The most common test kits or digital devices measure hormones in your urine and are quick, easy, and convenient for use at home. Other options detect changes in your saliva. Ask your doctor for advice in choosing a product that works best for you. Most ovulation predictors detect the big increase in release of luteinizing hormone (LH) from your pituitary gland in the day or two just before you ovulate. This so-called LH surge is what triggers ovulation of an egg from your ovary. The LH surge predicts you are likely to ovulate within 24 to 36 hours, according to MedlinePlus. Available over-the-counter (OTC) ovulation predictor kits (OPKs) can detect the surge in LH in about three to five minutes. There are also digital fertility kits and monitors that add estrogen to the LH testing. Other fertility monitors measure hormone-related electrolyte changes in your saliva that occur close to ovulation. LH testing gives you a more precise prediction of impending ovulation than by just observing your body's other natural fertility signs, such as changes in your cervical mucus. This testing can be especially useful if your cycles are irregular and hard to track. Note that combining results of an OPK with natural family planning observations can give you a greater perspective on your fertile days. Keeping track of your fertility signs can also help you time when in your cycle to start testing your LH so you don't waste a kit. Keep in mind ovulation predictors don't confirm ovulation. 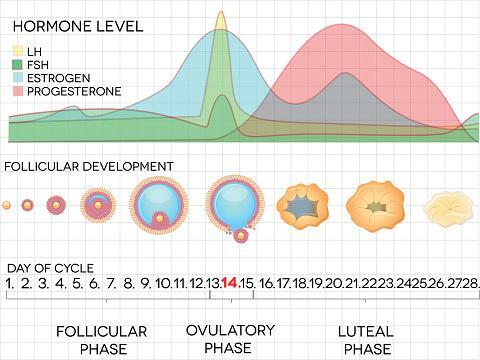 The LH surge only indicates you will likely ovulate soon, not that you will definitely ovulate. It is possible sometimes to have an LH surge and not ovulate an egg (an unruptured mature ovarian follicle). You will need other tests, such as a blood progesterone, to confirm your ovulation. Most OTC urine OPKs, or LH test kits, contain five to seven days test sticks. The brands range in price from about $15 to $30. Each manufacturer notes that in lab studies these kits were over 99 percent accurate in predicting the two peak fertile days of the cycle. You start testing your urine about two to three days before you expect to ovulate. For a 28-day cycle this would mean around day 11 or day 12. An online ovulation calculator can help you estimate ovulation and when to begin your testing. You either urinate for a few seconds on the test stick or dip it in urine you collected in a clean cup. You wait a few minutes before checking the results. The test will show a strongly positive result on the day of your LH surge. You tested too soon or too late in your cycle. The OPK stick was defective. Your menstrual/hormonal cycle is abnormal. Discuss this with your doctor, who might suggest other testing such as a blood LH measurement or ultrasound monitoring of your ovaries. The following are reliable brands of LH OPKs that have been on the market for several years and have good customer reviews. They are easy to use and interpret if you follow the instructions. Point the tip of the stick downward and urinate on it for five seconds only; then read the results in five minutes. A single dark purple line in the LH test window of the stick acts as a control to indicate the test works. A second line that is as dark or darker purple as the control line indicates your LH surge. A pack of two kits, each with seven LH test sticks and a bonus pregnancy test stick sells for about $30 on Amazon. 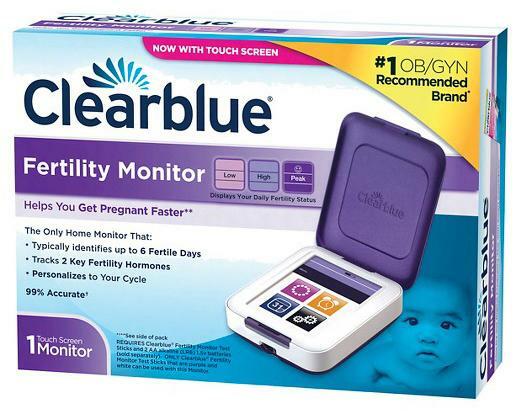 The ClearBlue Ovulation Predictor Kit is a similar product to the First Response Kit and works basically the same but costs less. It is another longstanding, popular kit that doctors recommend. With this test, the indicators for a positive control and a positive LH test result are indicated in blue in the test window. One kit comes with ten LH test sticks and retails for around $17 at Walmart. Check out the Wondfo Ovulation Strips kit if you want a more affordable test. The test strips are not as hardy as the plastic test sticks in the above products, but users like the kit for the cost savings. You dip the test strip in urine for three seconds rather than hold in under your urine stream. If you see a colored band in the "Control Zone" of the strip, the test is valid. A second line will appear in the "Test Zone" when your LH surges. A pack of 50 test strips sells for about $17 on Amazon. This is helpful and more cost-effective for women with long or irregular cycles who need to use more than 10 tests per cycle. The digital fertility devices that test for LH and estrogen in your urine predict sooner when you might ovulate. Some will also monitor your other fertility signs. They display your results and the fertility interpretation on an LCD screen. Your estrogen level rises higher a few days before your LH surge and peaks just before. This estrogen surge helps trigger your LH surge. The detection of estrogen in your urine by the fertility devices indicates your early days of high fertility while the LH surge signifies your peak fertility and impending ovulation 24 to 36 hours later. The combined fertility information you get from measuring estrogen plus LH can improve your chance of getting pregnant if you are trying to conceive or decrease the risk conception if you are not trying. 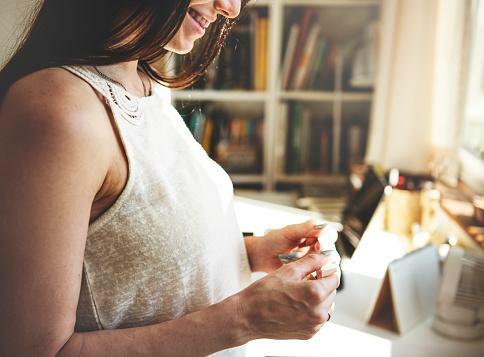 Some hormone digital fertility devices can also keep track of your basal body temperature and other information and store your data over several cycles. The following are examples of these products, which in studies are over 99 percent accurate in detecting the LH surge, according to the product descriptions. Then, hold the stick downward and urinate on it for only five to seven seconds and wait for three minutes for the reader to detect your estrogen or LH surge. The digital window displays a blank circle if no hormones are detected or a smiley face to indicate you are fertile on that day. The test kit containing the test reader and ten test sticks is available at Target for about $30. The Clearblue Fertility Monitor is a hand-held touchscreen device and is one of the most popular fertility monitors on the market. It identifies six fertile days - your two peak days plus the four preceding high fertility days. The computer stores your data for six cycles. When you get your period, you register the first day of your cycle on the device and follow the instructions for each subsequent day. When the monitor requests a urine test that day, insert your test stick dipped in your urine into the special built-in slot to measure your estrogen and LH. After about five minutes, the monitor screen displays your results and indicates whether you are fertile or at your peak fertility that day. This fertility monitor retails for $111 at Target. You purchase the urine test sticks separately. A pack of 30 sticks sells for about $50 at Target. Most women need about ten test sticks per cycle. Others might need up to 20 depending on the length or irregularity of their menstrual cycles. The kit comes with a fertility monitor, a reusable oral sensor, and a reusable vaginal sensor. 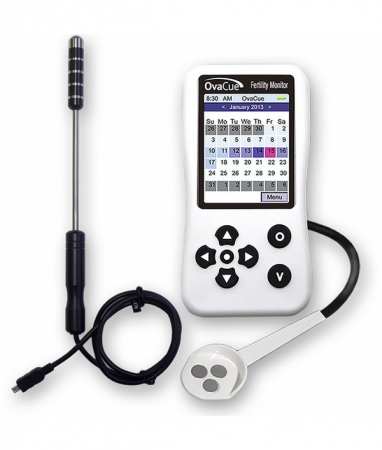 You can purchase the device and sensors for around $300 online at Fairhaven Health. Choose the product that's most affordable to you and that you think you will find easier to use. You might want to start with a less expensive, non-digital option in case you get pregnant in the first cycle so you will not be left with an expensive device. On the other hand, some women might prefer to have the tracking options of the digital tools. Feel free to ask your doctor for his/her recommendations.